You have a say! It’s your Public Power. Local control is one of the greatest benefits of Nebraska’s all public power model. In 1935, when rural electric systems began organizing in rural Nebraska, only about seven percent of Nebraska’s farms had access to electrical service. 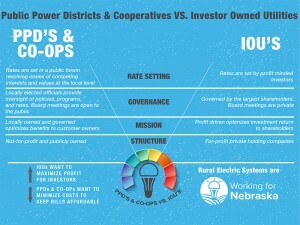 Investor Owned Utilities (IOU’s) saw no profit in delivering electricity to rural America. By 1958, 95 percent of Nebraska’s rural farms were receiving power. This transformation occurred when rural farmers, without access to the power market, came together to develop electric cooperatives and public power districts. The decisions governing these electric utilities were made, and continue to be made today, by member-owners and locally elected board members. There are no majority shareholders making decisions that will ensure the greatest profits, only local individuals that receive the same level of service as their constituents. With local control also comes access. 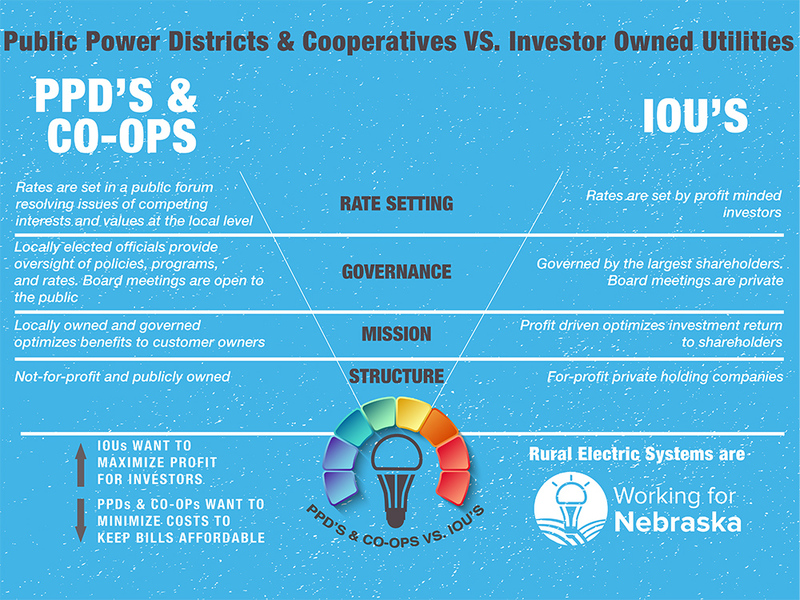 Unlike profit driven shareholders controlling an IOU, public power districts and electric cooperatives are governed by board members that are publicly elected. In a rural power district, this means you probably know the board member representing you and you know how to reach them with any concerns you may have. In addition, public power districts are required to comply with the Open Meetings Act which gives us all access to these meetings and the public information they discuss. Local control means your public power utility knows you and has deep roots in your community. Governing board members have a stake in every decision they make and a sincere interest in the local economy. Every year Nebraska’s public power systems, including NREA’s member-systems, pay more than $100 million in taxes or in-lieu of tax payments in the communities they serve, and employ more than 6,000 Nebraskans across the state, many of these in rural Nebraska. Local control strengthens customer service, promotes a culture of safety, increases communication between the electric utility and its customers and is just one more way Nebraska’s rural electric member-systems are Working for Nebraska.